Peter Kostelnick is on a mission. Having already won The Bad Water Ultra Marathon in 2015 and setting a record in 2016. 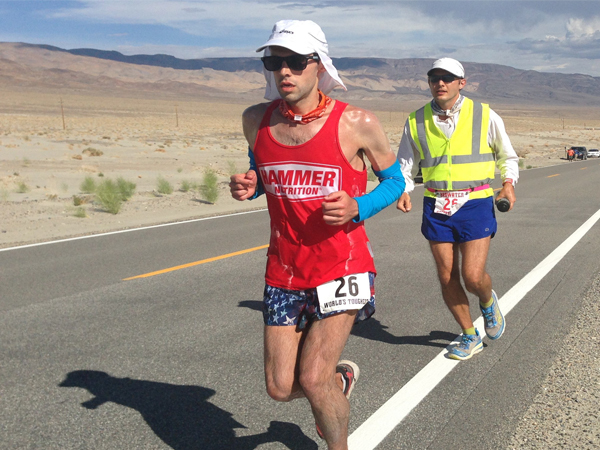 He has now set his sights on setting a Guinness World Book of Record for the fastest Transcontinental run. We’re talking 3100 miles of running in hopefully 44 days. For those of you who are like me and mathematically challenged, that’s an average of 72 miles of running each day for 44 consecutive days! Along with Peter, we’ll be talking to Charlie Engle of “Running the Sahara” fame. Also a veteran of this continental crossing and hopeful to attempt breaking Peters record if he succeeds. This episode is all about running long. Please join me Richard Diaz and Peter Kostelnick and Charlie Engle as we share this event as it is in its planning stages. Great podcast! Enjoyed this one. Looking forward to following Peter’s journey. Already preordered Charlie’s book.